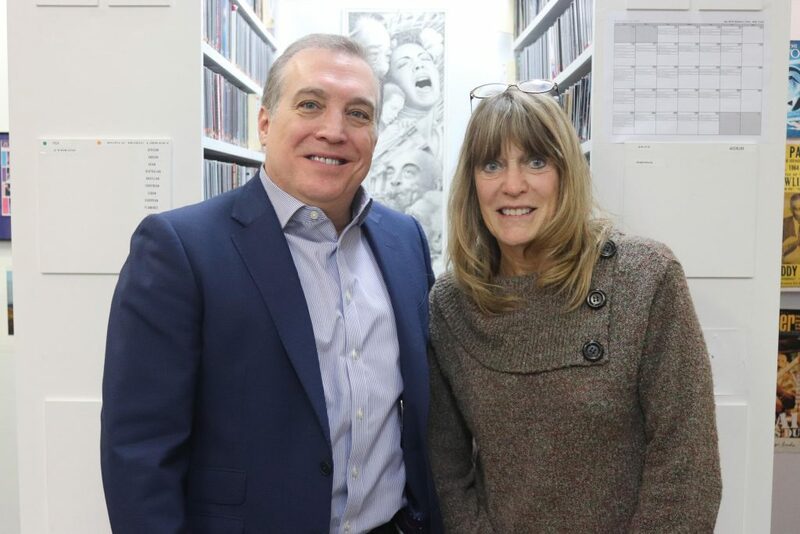 LVEDC President & CEO Don Cunningham (left) and Sally Handlon (right), host of Lehigh Valley Discourse, a weekly news program on WDIY. Don Cunningham, President & CEO of the Lehigh Valley Economic Development Corporation (LVEDC), gave an update on the region’s economy and workforce during a recent radio appearance. Cunningham appeared on the Jan. 17 broadcast of Lehigh Valley Discourse, a weekly news program on WDIY that interviews major figures in the region about the issues that move and shape the Lehigh Valley. “The region is in a place it has never been before,” Cunningham said during the interview. “We’ve seen growth of new coming into the market from life sciences to professional office, business services and advanced manufacturing, as well,” he said. A recording of the broadcast can be found online here. The hour-long interview was conducted by Sally Handlon, founder and president of Handlon Business Resources, and a past member of the LVEDC Board of Directors. Cunningham discussed several aspects of the Lehigh Valley economy and workforce during the interview, including the region’s record-high $40 billion gross domestic product (GDP) and its designation as 64th largest economic center by output in the country, which puts the region ahead of both Vermont ($27.4 billion) and Wyoming ($34 billion). Of the record $40 billion economy, $7.4 billion comes from manufacturing — the region’s second largest sector behind the category of insurance, finance and real estate, Cunningham said. Cunningham explained that a natural progression of the success of the region has turned LVEDC’s attention to workforce development. Other contributing factors are a gap between members of the workforce set to retire in the coming years, and a smaller number of those positioned to fill those jobs. “(Growth) is really what leads to a lot of our focus now being on talent supply, workforce development and making sure we have people with the right skills to support the companies that are here and to support growth,” Cunningham said. In 2018, LVEDC and the Workforce Board Lehigh Valley (WBLV) commissioned a study to assess the region’s workforce in terms of current makeup and future needs. Completed by MDB Insight, the regional study involved interviews, focus groups, and surveys with businesses from five targeted industry sectors and other stakeholders across the region and has resulted in the development of a strategic action plan. Taking recommendations from the action plan, five work groups were formed consisting exclusively of members of the LVEDC Education and Talent Supply Council, a partnership of Lehigh Valley educational institutions, major employers, and economic development and workforce agencies focused on creating and executing regional strategies that help the Lehigh Valley maintain a workforce and talent supply. The five work groups and their areas of concentration include: Employability skills; career pathways, internships, co-ops, apprenticeships, and mentorships; attracting, recruiting, and retaining the next generation of talent; and LVEDC-led talent and research initiatives. “The interesting thing is both supply side and demand side sit on the council so that the employers are in an environment with the educators in these five different workgroups right now the try to create linkages so that the Lehigh Valley is doing as a good job or even better than competing regions,” Cunningham said. Lehigh Valley Discourse airs every Thursday evening from 6 p.m. to 7 p.m., following NPR’s All Things Considered, and is later made available online at wdiy.org. WDIY is the Lehigh Valley’s community NPR station.